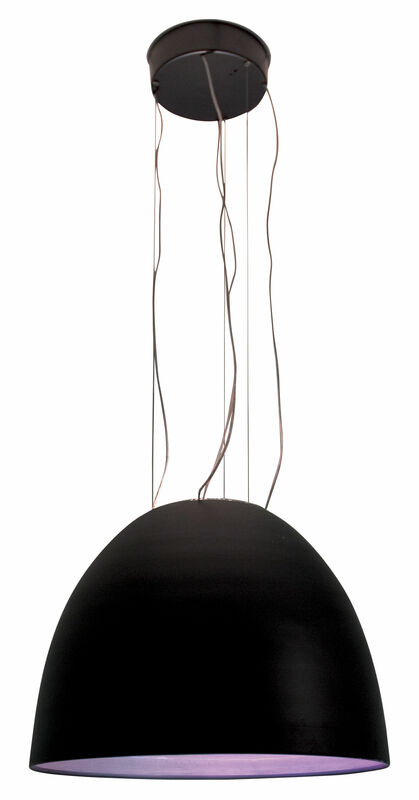 Dimensions : Diffuser H 70 x Ø 90 cm - H max with cable 2,6 m.
The lamp, with its long cap shape, is available in different versions depending on the different used light sources. 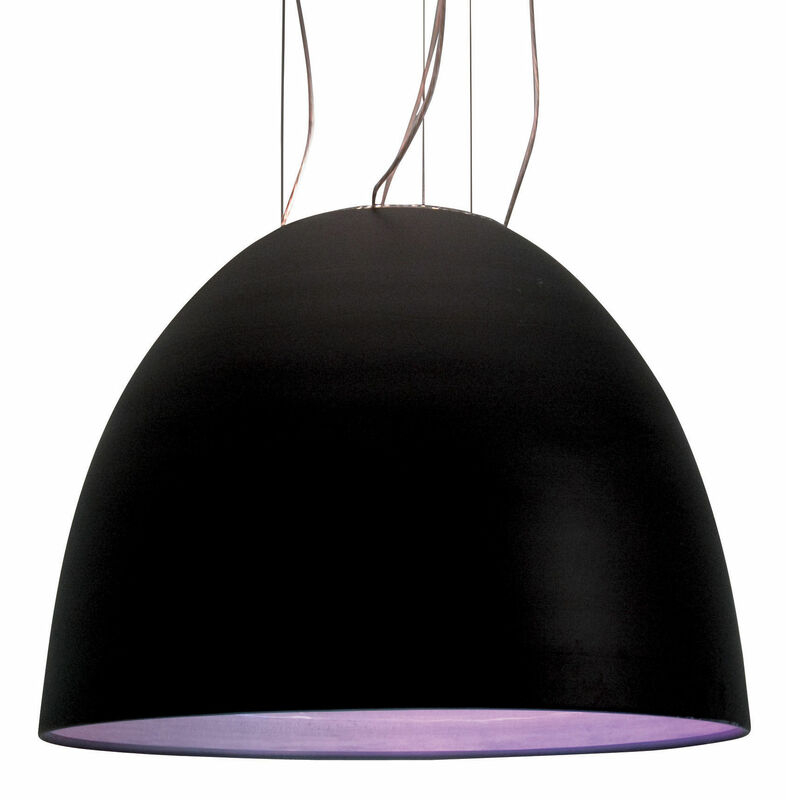 Nur 1618: Metamorfosi system with nine halogen sources with dichroic filters for direct emission of coloured light and with white halogen for indirect emission. Through a control unit and a remote control it is possible to manage separately the two systems, Nur 1618 Metamorfosi is available also with air electrostatic filter. Nur 1618 Halo, Nur 1618 HIE and Nur 1618 Fluo: they use an halogen or metal halide or fluorescent white light source depending on the models. To these last versions it is possible to apply an antidazzle cap, for the Fluo version a coloured optional filter is available. Aluminium body of the lamp, upper cap in borosilicate transparent glass. Colours: anthracite grey or aluminium grey.